Mirror Images sees life through many different lenses. 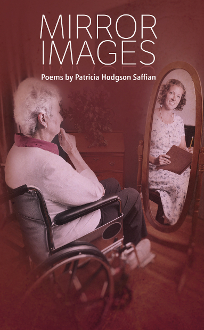 Poet Patricia Hodgson Saffian thrills us with her experiences as a teacher, mother, executive secretary, and then retiree. She endears us with her whims, causes us to laugh at her exploits, saddens us with her poignant memories, and compels us to remember her insights long after we have finished reading.